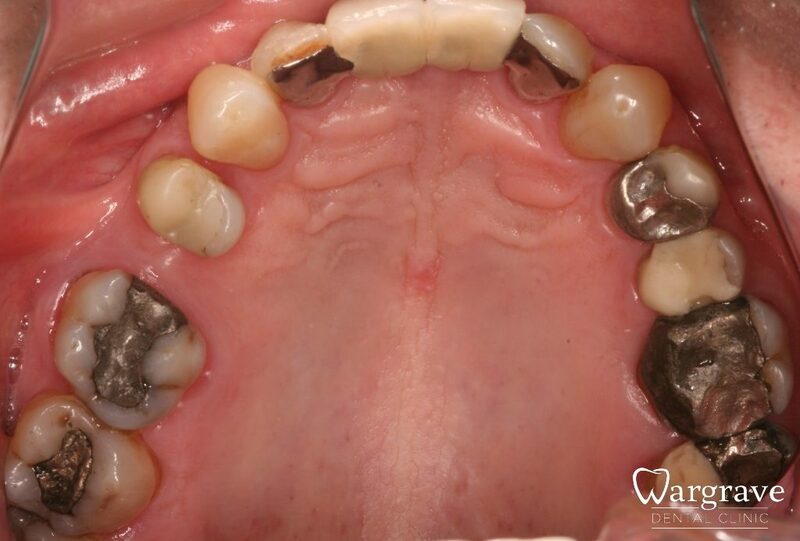 This gentleman had very worn natural teeth in the lower jaw and a much worn upper denture. He wished to improve the appearance. 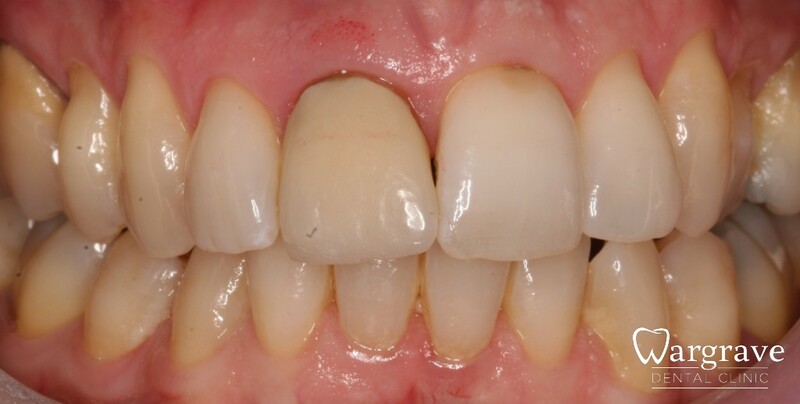 After careful planning and correction of the bite (occlusion), the patient was restored with a new upper denture and eleven individual crowns. He was delighted with his new smile. 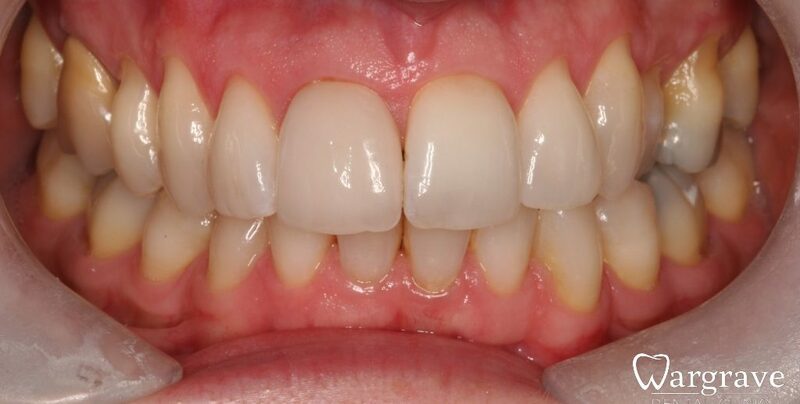 Case 1 – This young lady was very upset with her existing stained and discoloured crowns on her lateral incisors. Her confidence and smile was completed with two new natural looking crowns and teeth whitening. 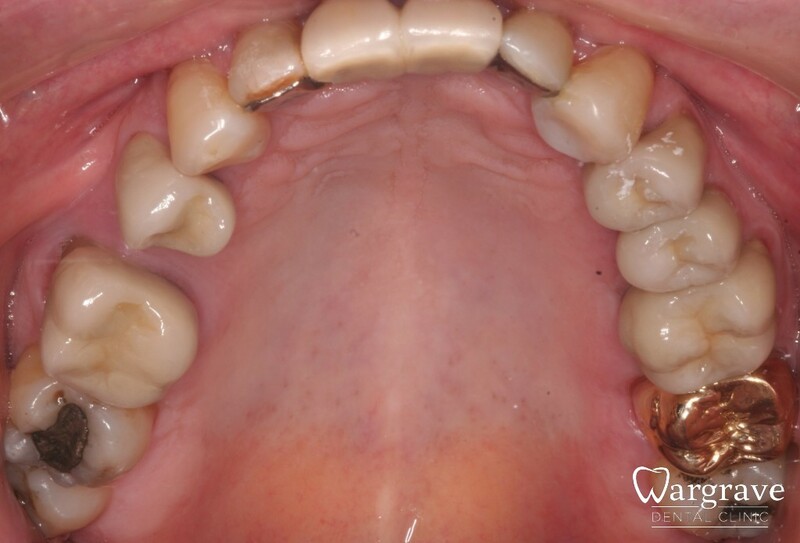 Case 2 – This patient had a noticeable crown at the front of her mouth, the metal and porcelain (PFM) crown was replaced with an all ceramic crown. 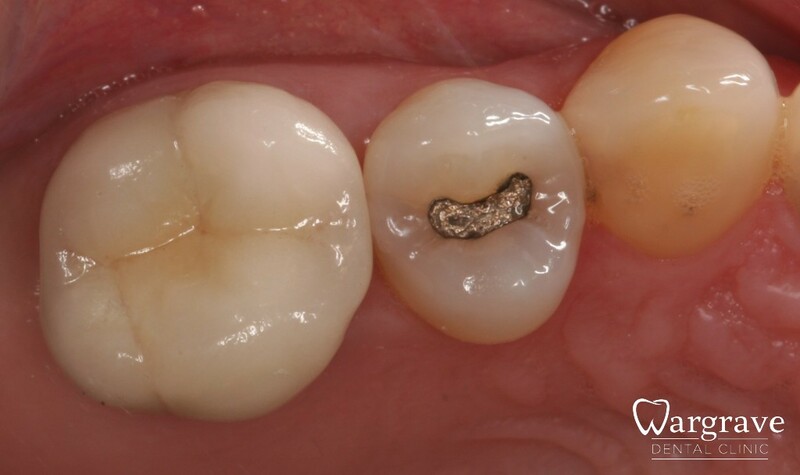 This new crown matched her own teeth more naturally. 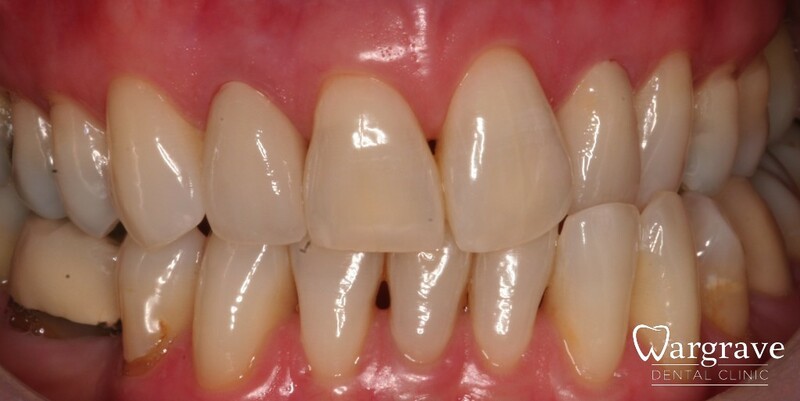 Case 3 – Ceramic crowns at the front of the mouth are highly aesthetic and can blend in with the natural dentition. 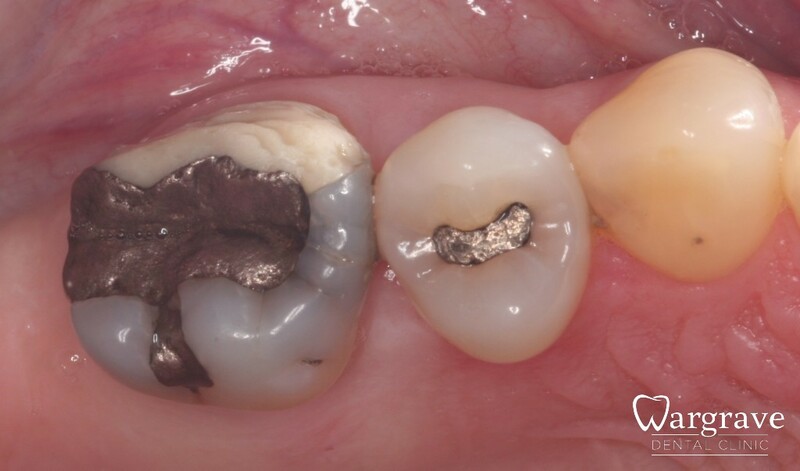 This patient wished to protect all his large posterior fillings. 10 new crowns were provided on the premolars and molars, leaving all his front teeth as they were. 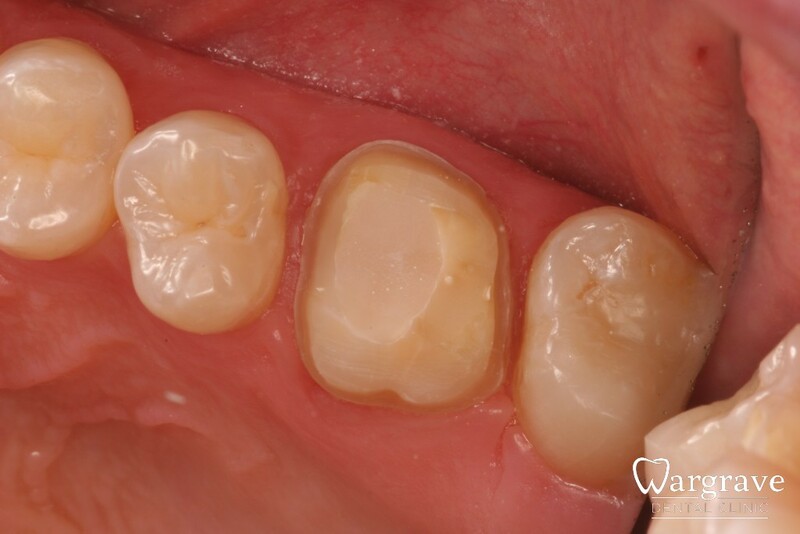 When back teeth break, provided there is sufficient natural tooth remaining, they can be restored with a porcelain crown. 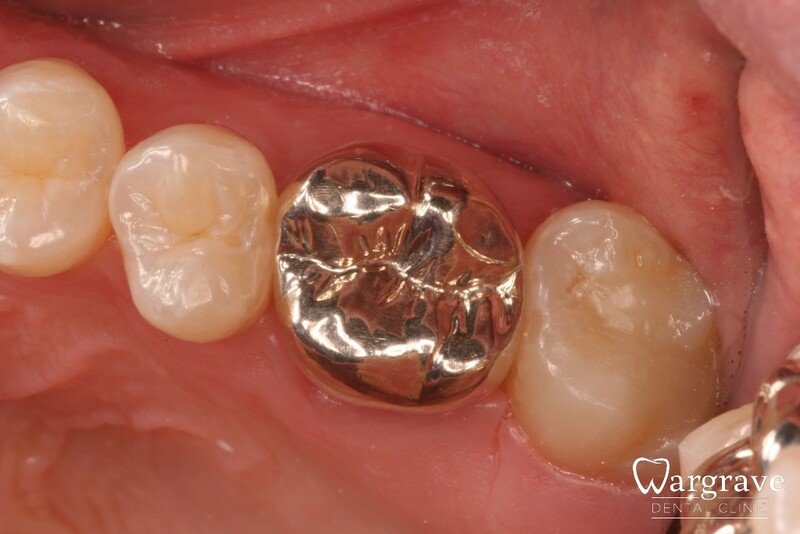 This crown has an underlying metal substructure making it very durable. These crowns have the added benefit of being highly durable in thin sections. This means more natural tooth can be preserved and in doing so promotes longevity. 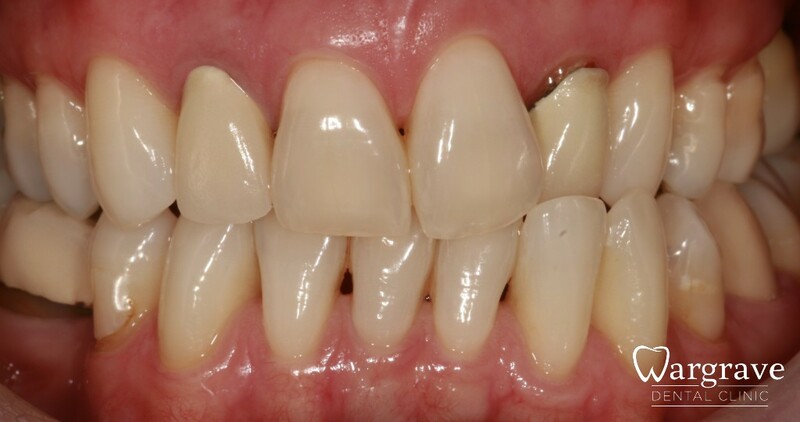 Whilst these crowns can be more visually obvious, careful preparation and reservation for the rear molars means they are still an invaluable treatment option.